Listen to "1500 Most Popular American Idioms, Phrases & Cliches" on your iOS and Android device. 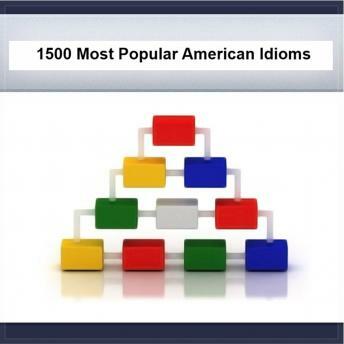 1500 Most Popular Idioms in America opens up the richness of the American language to all listeners. Idioms, unlike most words, are best heard not read. They have an enormous impact upon the language plus are revealing about Americana and Americans themselves, what people like and don't, what we keep active and what we discard. A perfect companion to other Simply language titles such as The Elements of Style by Professor Strunk, the various Simply word titles, and the punctuation titles. Widely used by students learning about America, new immigrants seeking an understanding of the American vernacular, and students of language for the information and fun of listening.